Ask anyone who fly fishes about the San Juan River and they will definatly have an opinion and, it's always good. 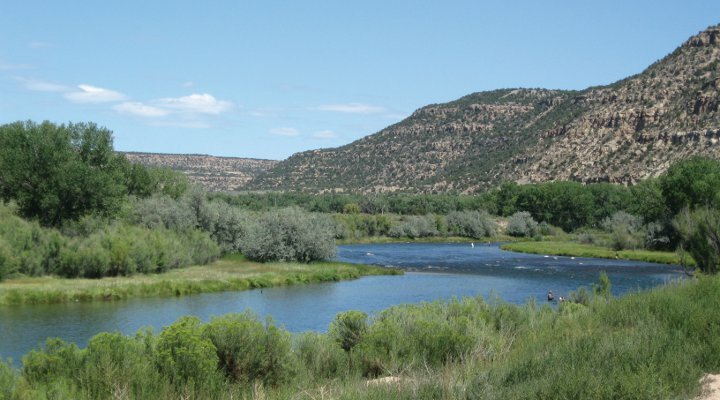 The San Juan is world renown offering once in a lifetime oppurtunities to catch some of the largest trout in New Mexico. The San Juan can be reached within a day but, we promise you'll want to stay and fish longer. The river offers multiple access points. The San Juan has multiple access points along the river. Please contact us for further details. How's the San Juan River Fishing? The water remains murky and fishing is slow with few reports.